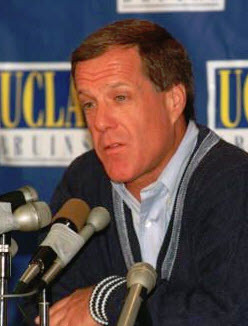 Terry Donahue as coach at UCLA. 3. I have two brothers and unfortunately, no sisters. I am certain that if I had a sister I would oft kiss her. (In a platonic fashion, of course, as this isn’t Razorback territory.) Is there really anything wrong with a tie game? For you youngsters, there are those of us old geezers who watched CFB for many the year when there was no OT. In 1966, the then ‘Game of the Century,’ Michigan State versus Notre Dame, ended in a tie. ND coach Ara Parseghian was criticized for–wait for it, having the ND QB take a knee at game’s end. ND defeated USC 51-0 that season and was named the champion of CFB by both the AP and the UPI. My how times have changed. A Bruin defensive back, player of the game Bob Stiles, who had earlier been knocked out making a tackle, returned to the game (not in the least bit unusual back in the day) and preserved the UCLA win when, while being KO’d for the 2nd time in the game, he made the tackle that stopped MSU’s late game try for 2 points and preserved the Bruins win. They had to wake Stiles up so he could be handed the MVP trophy. If player safety today is truly CFB’s overriding concern, as in my opinion it should be, then why, except for champ games, make kids play on after 60 minutes? How bad does 31 -31 sound about now? 4. Still trying to calculate the apogee of the center snap that sailed over the head of a 6′ 6″ QB? However, keep your head up Jake Hanson! You are an integral part of this team + this was far from the only late game mistake that was made last Saturday night. BTW, in my walk through this world if my biggest mistake was limited to an errant center snap, I and a lot of other people, would be damn happy. Joey Alfieri rubs it in…. 5. Joey Alfieri. 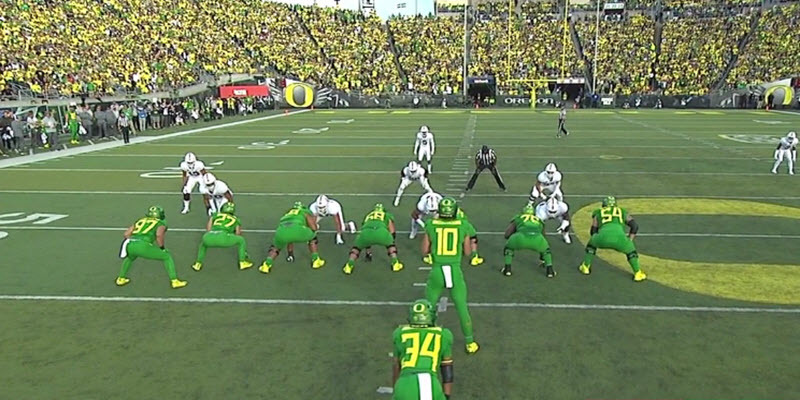 Shouldn’t there be a rule that any Oregon kid capable of playing FBS ball must sign with the Ducks or the Beavers? 6. SEC fans, if your team happens to play Alabama this season and it doesn’t come within 2 TDs of The Tide; then, you are not allowed to yell, “SEC-SEC-SEC!” when Bama lifts the trophy in Santa Clara. It was USC and the Little 9/11, so why not Bama and the Little 13? (ESecPN?) During the BCS Invitational and now this BCS x 2 Invitational, just like your host who takes you out for a round of golf at his club, you know the Saint Nick’s are going to get a Mulligan. In fairness to Georgia, Bama did not win the SEC title last season before it defeated these Dawgs in the Champ game. 7. Why wouldn’t a kid from Hawaii who was mentored by Marcus Mariota matriculate at Bama? This was the recruiting cherry on a cherry. 8. When did Vampires take over the scheduling of CFB kickoff times? Amidst Bama playing La La (while anxiously awaiting the Tide’s game against THE CITADEL!) we actually have two games featuring CFB top opponents this Saturday and both kick off at 7:30 Right Coast Time! I know that the Notre Dame Broadcasting Company is doing the Ryder Cup, but come on! What in the hell is wrong with playing in the daylight? And on the Left Coast, tail-gating has morphed into candlelight dinners. The money is nice no doubt, but it sure seems that CFB has sold its soul? Pac 12-at-Nite I can do without. 9. Let’s see how The Cardinal does in front of TD Jesus on Saturday night? Play like it did in Eugene for three quarters and I see The Cardinal being white washed and the Pac 12’s Final 4 hopes disappearing into the Left Coast sunset. Book It! It really took Notre Dame Coach Brian Kelly to this point in the season to start a kid at QB who beat LSU in the Domers bowl game? Me thinks too many CFB coaches suffer from Vince Young Syndrome? 10. 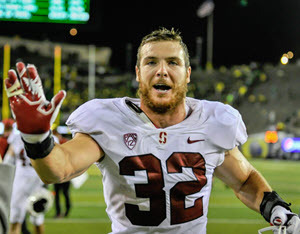 Speaking of CFB QB’s, amidst the end game chaos in Eugene last Saturday, Justin Herbert‘s Heisman worthy game likely dropped off most of the Heisman voter’s radar screens? He just isn’t going to have that many games in front of a national audience; in front of Heisman voters coast-to-coast. Make no mistake, getting a visit from Lee Corso and having Herbie and Chris Fowler call the game on network TV is a big deal. The kid going 25 for 27 in regulation time (and hats off to the Ducks receivers for helping him out) is negated by a couple of giraffe receivers. Who in the hell is better east of the Mississippi? I’ll wait on Tua until such time when he has to battle a real D: at LSU and versus Auburn? Jason Stidham has not been all that…. Will Grier has played nobody to date. Trace McSorley is a battler but if anyone thinks this kid is going ahead of Herbert in the draft–he is a PSU fan and/or nuts. Ohio State’s Dwayne Haskins is the only kid I have watched to date who may have Herbert’s QB chops? 11. Hats off to CJ Verdell! What a baller at 5’9″ 201 pounds! His ultimate carry was an effort play amidst a number of great effort plays all night long. I can only hope that before the fumble someone, the head coach, his position coach or Herbert, reminded the kid to keep two hands on the ball and go down on contact? With Taj bolting and TBJ dinged, thank goodness this kid has stepped up. 12. I’m hoping for a Playoff Four of Bama, UGA, Clemson and Notre Dame so we can go to a field of eight sooner rather than later but my crystal ball as of now reads: Orange Bowl – OHIO STATE versus CLEMSON (these Tigers may not play a team that finishes in the final top 25? ); Cotton Bowl – ALABAMA versus NOTRE DAME; Rose Bowl – UW versus PENN STATE; Sugar Bowl – AUBURN versus OKLAHOMA; Peach Bowl – WEST VIRGINIA versus WISCONSIN; FIESTA BOWL – STANFORD, getting the P5 short end of the stick versus G5 and super motivated UCF. 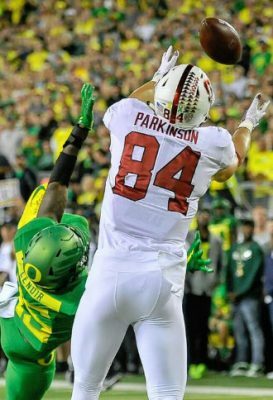 DUCKS – Holiday Bowl versus IOWA. This weekend’s 2 big games, among others, will help the crystal ball come more into focus. 13. Sorry if this take was too ALABAMA-centric but when you are the lead sled dog you know what the other dogs are looking at! And if you write anything about CFB and do not mention The Tide often enough, ESPN will take you off line. Then like ARMY at OKLAHOMA last Saturday, I’d have to pay $50 to watch many the game! MAY YOU ALL BE AS LUCKY AS THE TREE, AND AS BLESSED AS GREG SCHIANO!